During February of our centenary year, Craig Ryan looks at both LGBT and FDA history by exploring the work of Ian Buist. When the FDA began campaigning for LGBT equality in 1979 – one of the first trade unions to do so – it was largely due to the courage and vision of one man: the diplomat and international development expert Ian Buist (1930-2012). Buist’s battle for equality began in 1969 when his department, the Ministry for Overseas Development (ODM), required him to undergo positive vetting after a seven-year tour in East Africa. As Buist explained, homosexuality “was still seen and treated as a ‘serious character defect’, and the discovery, or revelation, or anyone’s homosexuality led automatically to the withholding of clearance”. 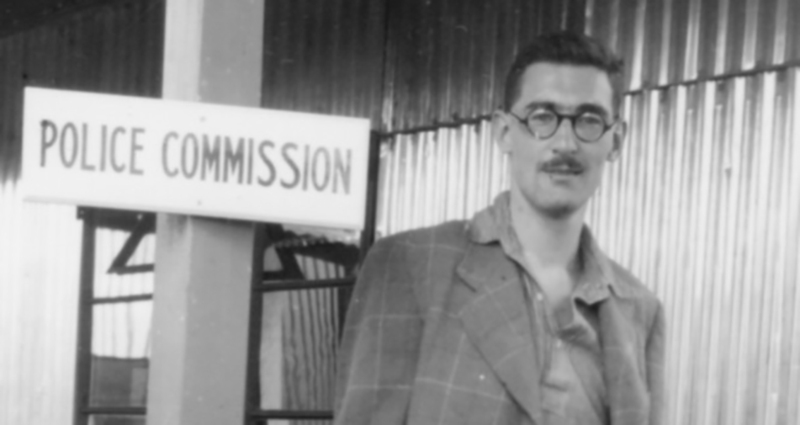 Unusually, Buist’s Permanent Secretary, Sir Geoffrey Wilson (1910-2004), accepted the argument that Buist’s sexuality posed no additional security risk because he was openly gay. Having tested Buist’s veracity by asking if he belonged to any gay clubs – a question to which he would certainly have already known the answer – Wilson overruled the Security Service recommendation to deny clearance, and Buist was able to continue his distinguished career. This Conference endorses the stand taken by the Association, with other members of the Staff Side, on the principle that there should be no discrimination against homosexual officers; and calls on the Executive Committee to pursue its efforts so as to obtain satisfactory assurance that such officers will not be debarred from posts because of their sexual orientation. At the ADC, held on 3 May 1979, Buist faced an uphill task. He prepared carefully, producing an explanatory leaflet for delegates and briefing for the press. But Buist’s motion was placed last on the agenda, increasing the chances of it not being debated at all, and the Sheffield branch of the Association of Inspectors of Taxes (AIT) tabled an amendment to remove the call to action from the motion. Buist’s triumph came on the day Margaret Thatcher was elected Prime Minister. But it was another six years until the principle of LGBT equality was endorsed by the TUC, and it was not until Mrs Thatcher left office that it was finally accepted by the civil service. During the 1980s, Buist remained active in the FDA’s long and ultimately successful campaign to reform the vetting system and abolish the ban on gay and lesbian staff serving in the Diplomatic Service. When the ban was finally lifted in July 1991, it ended the formal discrimination against LGBT people working in Government and the FDA turned its attention to campaigning for equality in practice as well as principle. John Latto Farquharson Buist CB – always known as “Ian” – worked tirelessly for social progress and equality throughout his professional and personal life. 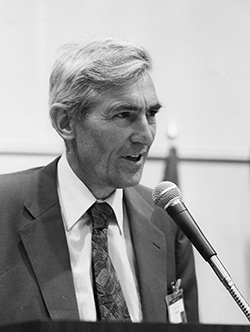 In a distinguished career with the Colonial Office and international development departments, Buist was a leading advocate of progressive policies to tackle inequality and poverty, particularly in East Africa in the 1950s and 1960s. He was personally responsible for moves to redistribute land from white colonists to native Kenyans and to end racial segregation of the Kenyan police force. When he was appointed as UK representative to UNESCO in 1980, Buist was cruelly denied the Ambassadorship that usually went with the post – later being told by his Permanent Secretary that Margaret Thatcher had personally withheld the honour when Buist’s sexuality was drawn to her attention. At the end of his career, Buist played a leading role in setting up the European Bank for Reconstruction and Development, which successfully smoothed the path for several former Soviet Bloc countries to join the European Union. A lifelong Christian who could recite the Old Testament in the original Greek, Buist was a founder member of the Lesbian and Gay Christian Movement. He regularly played the organ at the United Reformed Church in Wimbledon and sang at the 1953 Coronation as a member of the Colonial Office Choir. Buist died in 2012 after a long battle with cancer. He is buried alongside his life partner, Dennis Regensburg, who was tragically killed in a boating accident in Pakistan in 1988. Would you like to find out more about the FDA LGBT+ Network? Email equalitymatters@fda.org.uk for information, and take part in our FDA LGBT+ survey.